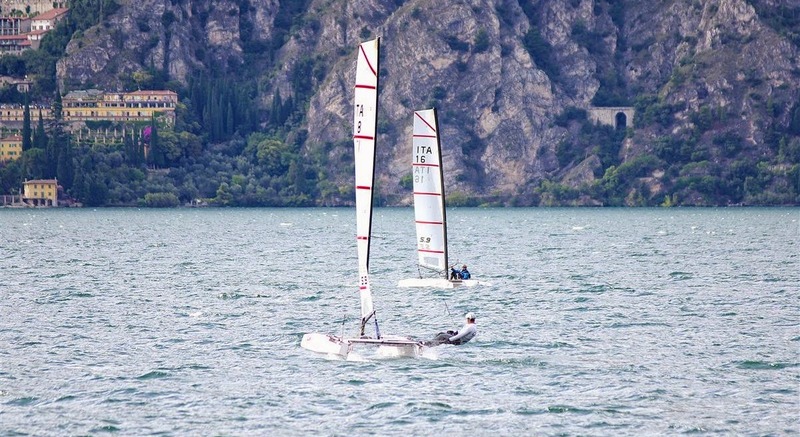 Report sent by Bimare -- "The rapid process & evolution of 'S.9 could not miss the presentations and concept testing of the Foiling Week. A brilliant event of the 'third dimension' of sailing: Flying above Water! 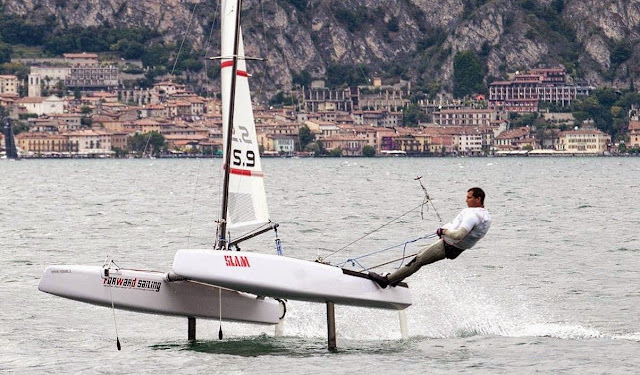 I've never seen so many designers sharing and illustrating their "secrets" like in this Forum and those chats were even posted by the Foiling Week YT Channel. The pioneering spirit of these exciting times has no equal in the history of sailing except perhaps the mythical winglets of Australia II. 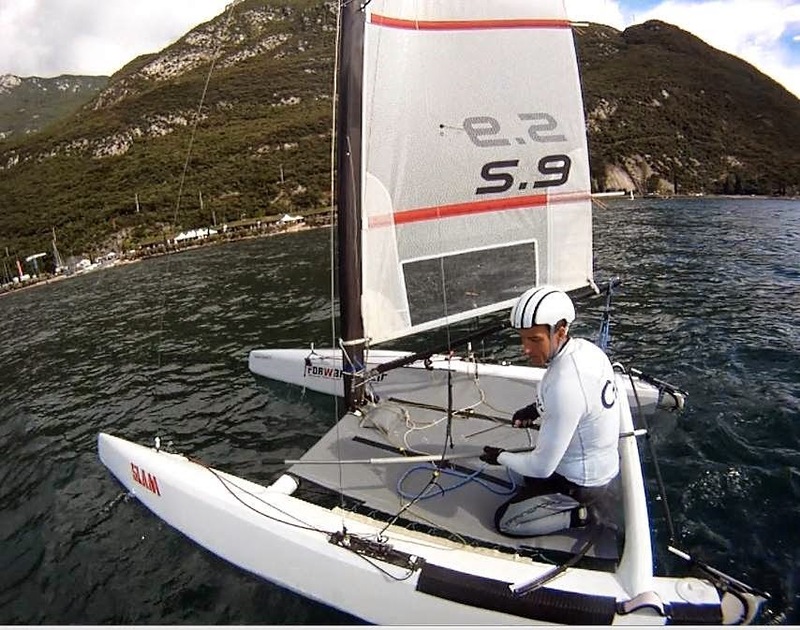 The America's Cup is the source of inspiration for this S.9 creation by Michele Petrucci, who was among the first to believe in the full range of foiling catamarans without exceeding in complicated gadgets. The boat had to be an allrounder and manageable by one person, with the wand systems the goal has been fully achieved, making customers & newbie testers alike to enjoy the feeling of flying in a few hours of testing in water. 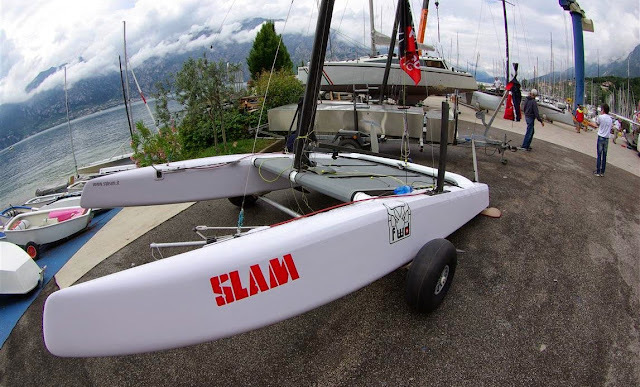 The platform and the volumes of this new medium size cat allows to foil in a very easy , lightness and manageable way. The S9 new profiles are already in the production phase. We want to thanks some lessons learned from Foiling Masters as Grogono and the always available Edo Bianchi. Thanks also to the excellent idea and organization of Boffi, Rizzotti and Fraglia Vela Malcesine. A big thanks to photographer Martina Orsini with always perfect shots. Last but not least, the satisfaction to have the request to test the S.9 by Sebastien Col. Within his sailing experience on the boat he has kindly dispensed useful advice as only true champions can do. As an additional gift for us we had the first and second place in the cat category ! See you next Year, as we are unable to to resist the Unique sensation of sailing at Lake Garda ...."